The Moto Z2 Play, a pretty poorly kept secret, is now official, along with a whole bunch of new Moto Mods. 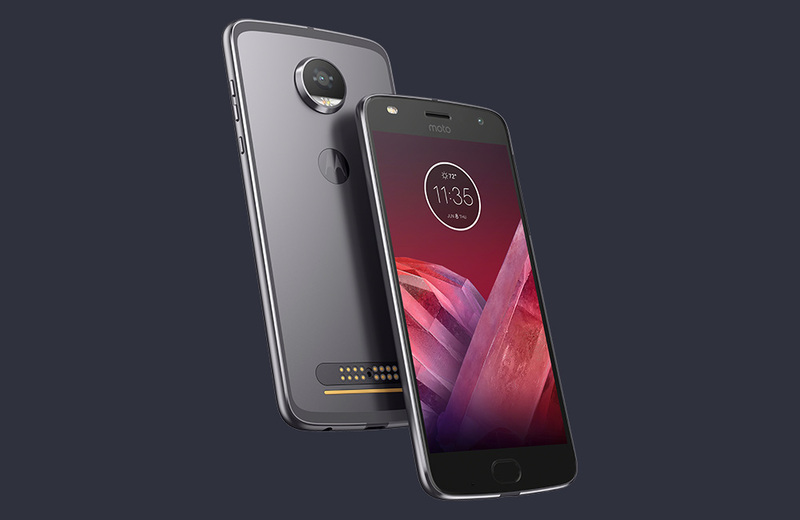 The device is an upgrade over last year’s Moto Z Play in most aspects, but has gone thinner in form factor for 2017, which might make for a downgrade in the originals best category – battery life. The phone arrives later this summer in the US as both an unlocked device and with carrier exclusivity on Verizon. The unlocked version will cost $499 at Motorola’s site. So what’s new with the Moto Z2 Play? Well, you’ve got a 5.5-inch FHD Super AMOLED display (1080p), Snapdragon 626 processor, 3GB or 4GB RAM and 32GB or 64GB storage (depending on model), upgraded 12MP f/1.7 camera on the back, upgraded 5MP wide-angle f/2.2 camera on the front, fingerprint reader, Moto Mods connectivity, and Android 7.1.1 Nougat. But this is a Moto Z Play follow-up, so we have to talk about battery. After all, last year’s Moto Z Play was and is still the battery life king of the world. How does the Z2 Play stack up? With a thinner body and smaller battery that drops to 3000mAh vs. last year’s 3510mAh. The phone is running a Snapdragon 626, so battery life should still be good, I’m just not expecting the king title to be stolen. Otherwise, that’s pretty much it. The device comes in grey and gold models in the US, though there is a blue version for other markets. Check it out over at Motorola’s site.